The Danube River was immortalized by Johann Strauss in his famous "The Blue Danube / Dunarea Albastra" and by the Romanian composer Iosif Ivanovici (1845-1902) in his famous waltz "Waves of the Danube / Valurile Dunarii" (I loved those songs ever since I was born). Danube River raises at the confluence of the two source river Brigach and Breg near Donaueschingen in the Schwarzwald / Black Forest in Germany. Is the second longest river from Europe (after Volga) and along its 2850 km long, the Danube River Basin go through 18 countries, 13 countries having substantial territory within the basin. The basin area includes all of Hungary; nearly all parts of Austria, Romania, Slovenia, Slovakia and Serbia; significant parts of Bosnia - Herzegovina, Bulgaria, Croatia, the Czech Republic, Moldova and small parts of Germany and Ukraine, Switzerland, Italy, Poland, Macedonia and Albania. In latin was known as Danubius,Danuvius, Ister and in Dacian/Thracian as Donaris / upper Danube and Istros / lower Danube. In our days is known as: Danube(english), Dunav (croatian, serbian, bulgarian), Donau (german), Dunaj (slovak), Dunai (ukrainian) and Dunărea (romanian). Danube has more then 2000km navigable part and is in the center of the European network of navigable inland waterways. A Danube River cruise is the best way to experience the storied landscapes, cultural heritage and centuries-old architecture of the Old World, you can see the Imperial Castle and the Justice Palace from Nuremberg, Germany, Vienna Opera house in Vienna, Austria, Ilok Castle in Croatia the world-famous Benedictine Monastery in Melk, Austria, St. Stephan's Basilica and the Fisherman's Bastion in Budapest, Hungary and Mraconia Monastery and Iron Gates / Danube Gorge in Romania. The Danube River Basin was divided into four parts: the Upper Danube from the source to Bratislava, the Middle Danube from Bratislava to the Iron Gate dams (Romania-Serbia&Montenegro), the Lower Danube formed by the Romanian-Bulgarian lowlands and the Danube Delta / Delta Dunarii where the Danube River discharges into the Black Sea. There are also three artificial waterways built on the Danube: the Danube–Tisa–Danube Canal (DTD)in Vojvodina, Serbia; Danube–Black Sea Canal, between Cernavodă and Constanţa, Romania, and the Rhine-Main-Danube Canal linking the North Sea to the Black Sea. 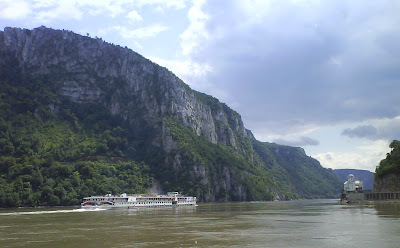 The Danube Gorge / Clisura Dunarii runs between the Carpathian and Balkan mountains and lies between Romania in the north and Serbia in the south, forming the natural boundary between them. The Danube Delta/ Delta Dunarii became part of the UNESCO list of World Heritage Sites in 1991. 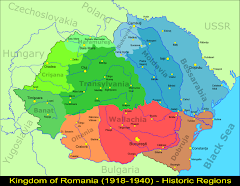 It is largely situated in Romania and partly in Ukraine and has three main distributaries: Chilia, Sulina and Saint George (Sfantul Gheorghe). Danube Delta is the best preserved Delta on the Europe, having continental climate with Black Sea influences. First notes about the Delta are from Dacian period before being conquered by the Romans. Part of Danube Delta was marked as a reserve in Romania in 1938. In 1998, under UNESCO Programme on Man and the Biosphere, the 6264.03 km² of Danube Delta were established as Biosphere Reserve shared by Romania and Ukraine. It is home to several rare bird species, an important resting point for migrating birds, rich in fish and unusual flora.
" The news of a massive toxic spill that occurred 4 October 2010 at an aluminum plant in Hungary has caused great concern in the international community. We deeply deplore the impact of this disaster, especially the loss of lives. 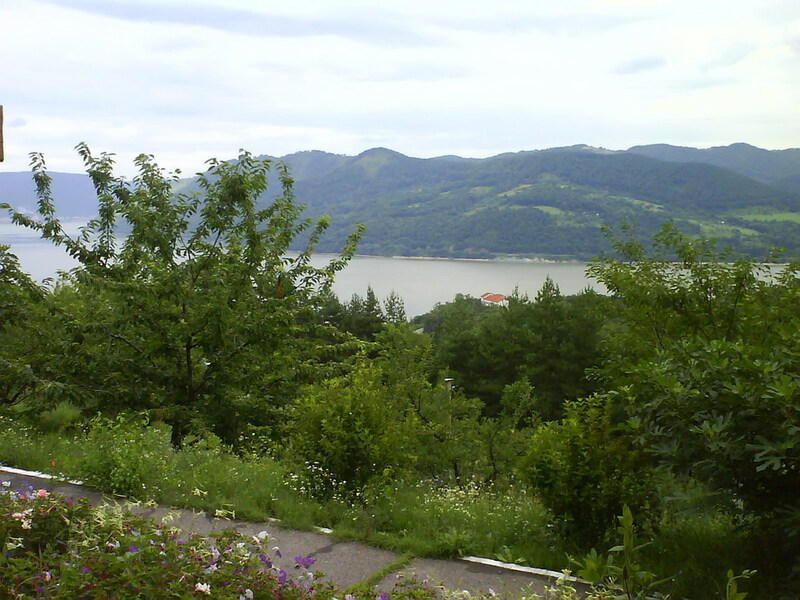 The flood reached the Danube River from the Raab River on 7 October 2010, and while pH levels are diminishing, heavy metals and other substances could have a considerable environmental impact on the Danube water system. There are a number of cultural and natural World Heritage sites along the Danube, including, in Hungary, Budapest, including the Banks of the Danube, the Buda Castle Quarter and Andrássy Avenue. Other sites that could be potentially affected are Srebarna Nature Reserve in Bulgaria and the Danube Delta in Romania, as well as potential sites for inscription on the World Heritage List (Tentative List sites), such as The natural and cultural landscape of the Danube region and the System of Fortifications at the Confluence of the Rivers Danube and Váh in Komárno - Komárom in Slovakia. The World Heritage site of the Danube Delta in Romania is also a transboundary UNESCO Biosphere Reserve with Ukraine, as well as an important wetlands (Ramsar) site. I would like to convey our solidarity with the site managers and people struggling to safeguard their heritage and environment. UNESCO is ready to assist by providing technical and expert advice, wherever needed, together with its partners, especially the International Union for the Conservation of Nature (IUCN) and the Convention on Wetlands (Ramsar Convention, 1971) to safeguard the precious and irreplaceable heritage of future generations. Director, UNESCO World Heritage Centre a.i. UNESCO Assistant Director-General for Culture"
The Reuters.com news: Toxic red sludge from a Hungarian alumina plant reached the Danube on Thursday and crews struggled to dilute it to protect the river from what the prime minister called an "unprecedented ecological catastrophe." I hope that Gabor Figeczky, Hungarian branch director of the WWF environmental group was right when said "Based on our current estimates, it (pollution) will remain contained in Hungary, and we also trust that it will reach Budapest with acceptable pH values." 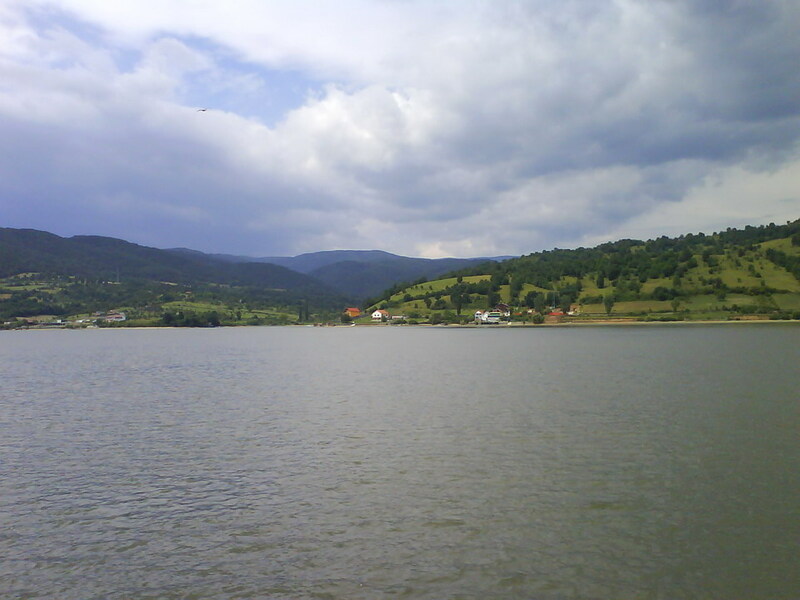 , and the territory nearby Danube River (including Romanian magic lands), downstream from the disaster area will not be polluted by sludge's toxic substances. For more information about Danube River, visit Britannica.com and Unesco.org.